View basket “CHALK WHITE twisted satin sheen” has been added to your basket. A white Schuko socket is a simple yet stunning way to finish off a minimal interior. This F-type switch features a super-chic satin white plate with a choice of either black or white inserts. 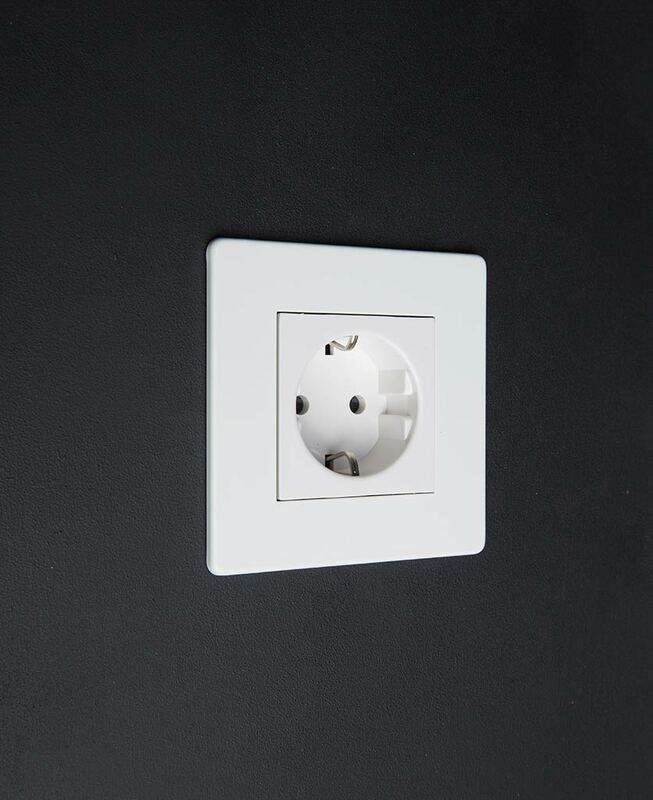 For an ultra contemporary vibe coordinate this designer socket with our matching white toggle and dimmer switches for a real high-end polished look. 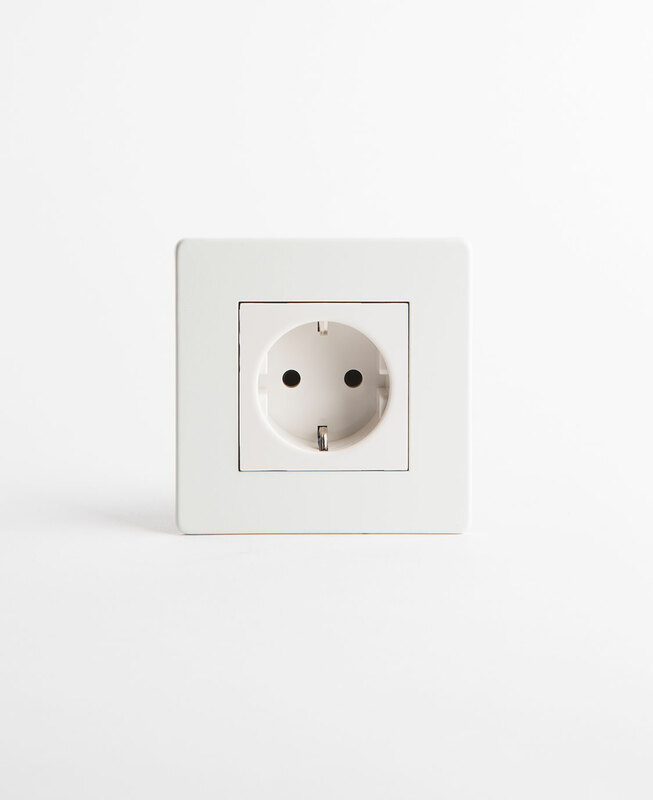 Our white Schuko socket is part of our ever-expanding switches and sockets range. 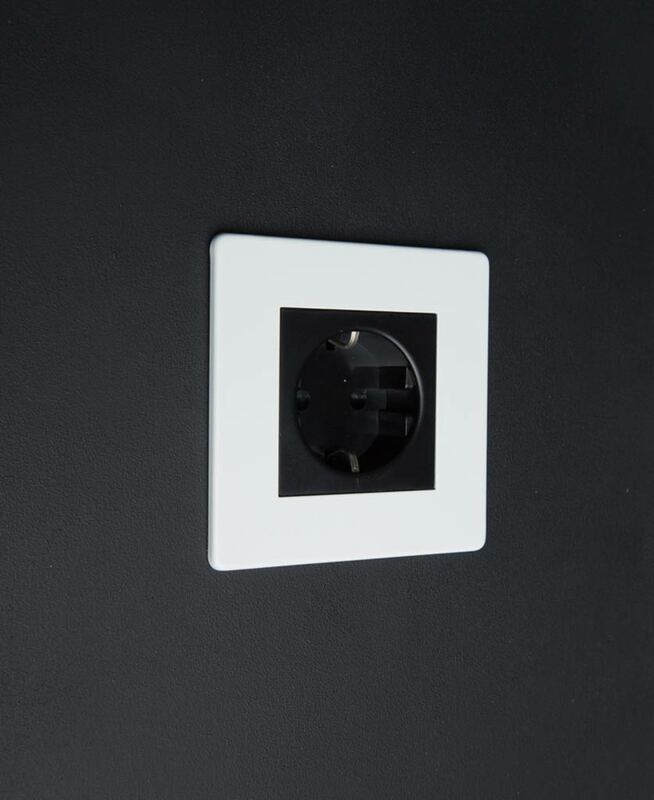 Featuring a sleek white coated steel plate with a choice of either black or white insert, this F-type socket is perfect for finishing off crisp contemporary interiors. What’s more, it even has concealed fittings and will fit flush against your walls for the ultimate in minimalist design. We love this socket upon matt white or barely-there grey walls, where it’s designer finish can really be appreciated. Show off alongside our all-white dimmers or classic white and black toggle switches to create a beautifully polished look and banish those unsightly white plastic sockets for good.